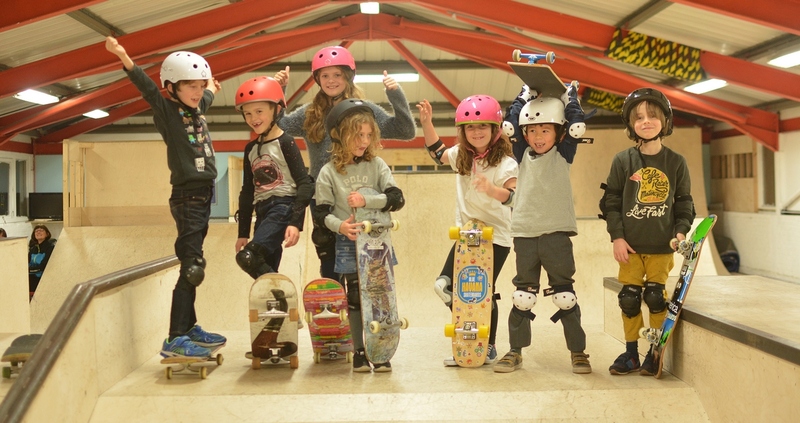 BYC’s skateboard tuition classes are a safe and friendly introduction to skateboarding for ages 5 – 12. 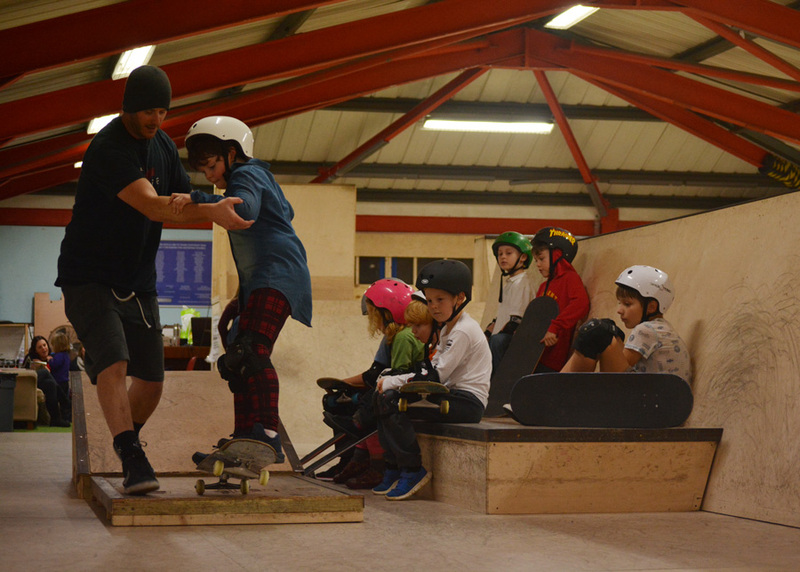 Here two or more workers will introduce the basics of skateboarding, and work with young people individually and as a group to progress, feel comfortable and learn basic moves. Everybody is encouraged to push themselves, but nobody will be made to try anything they do not want to. 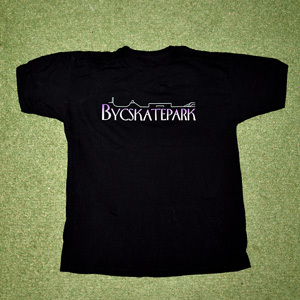 Skateboards and safety equipment are provided by us! Term time courses consist of six weekly one hour lessons, at a set time each week. A new course starts after every school break. Due to a short term, these courses will run for five weeks, at a price of £42. To book on to any course please click the appropriate link below and fill in the participant’s details on the subsequent form. Payment can be made by card at the bottom of the form. Once complete, you will receive a receipt via email as confirmation of your place on the course. If you need to use an alternate payment method please get in touch beforehand. Places are on a first come, first serve basis. If you can’t make it this time, our next courses begin on the week of the 3rd of June, and will be available to book on to here from 8am, Monday 20th of May. If you would like to be sent a reminder email closer to this time, please add your address below and we’ll be in touch. Courses start after every half term break, and appear here to book on to usually three weeks beforehand. Information on the next start and booking dates appear here as soon as we’ve confirmed them. Places are on a first come first serve basis. We do not take any bookings before they appear online. We do not hold waiting lists. Members of the previous course will be given a few days priority booking via email. Please take a read about each course and be sure that your child is in the correct ability group. 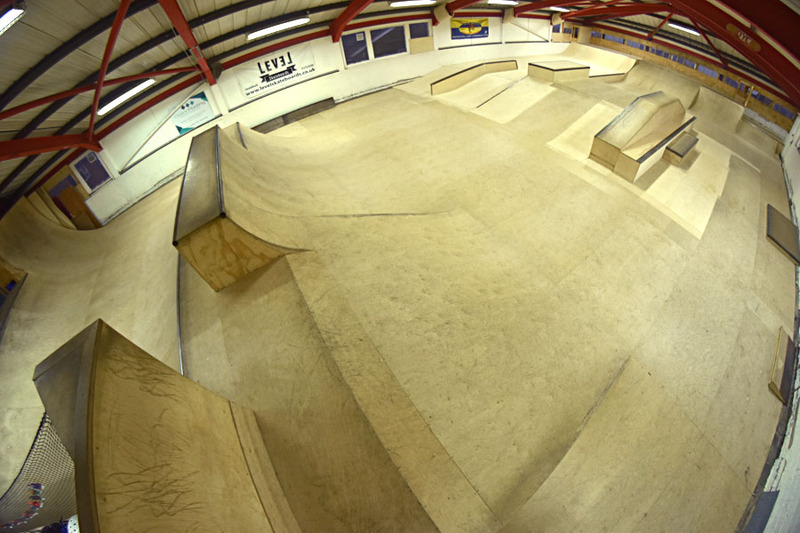 If you are unsure, have any queries or want to talk about anything regarding the sessions, please don’t hesitate to give us a call and ask for a skate worker! 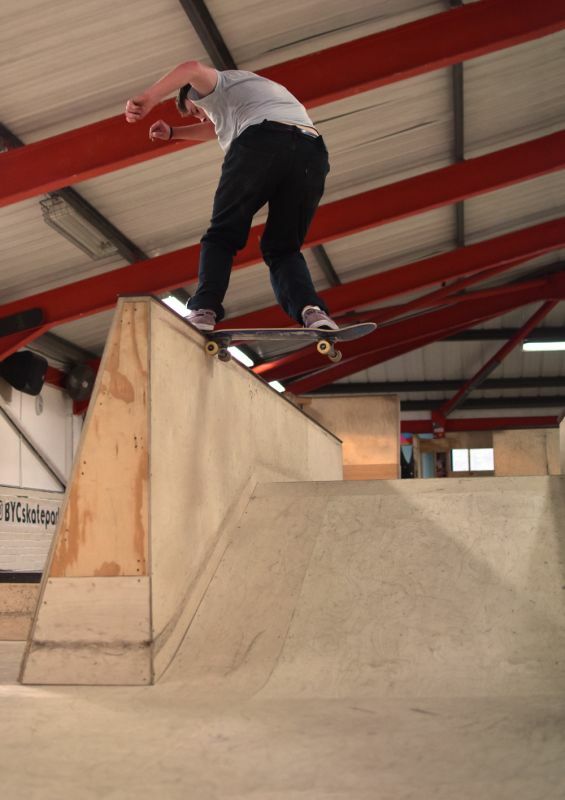 On our hugely popular beginners course we take eager learners through the first steps of skateboarding and help them become comfortable and confident. We start at the very beginning with standing and moving, staying safe and correct stance. We will then move along together into using ramps, basic moves and gaining full board control! Beginners lessons are group based, with extra allowance and support always being given to those who feel they want more (or less!) help. There is a maximum of 10 on each course. In the beginners classes we will always start from the very beginning with each course, due to new members joining us. If there are a large amount who have been before we can do our best to compromise for this, but repeating members may need a little patience at times. Although a bit of refreshing is always good! We don’t ask for much, just for your child to want to give it a go. Also to understand that this is a group lesson and we are all learning at once, and to listen and follow instructions even if they’ve heard it before or know it already! If you feel your child may be well on the way to what is mentioned above you may want to consider the improvers, if in doubt give us a shout. 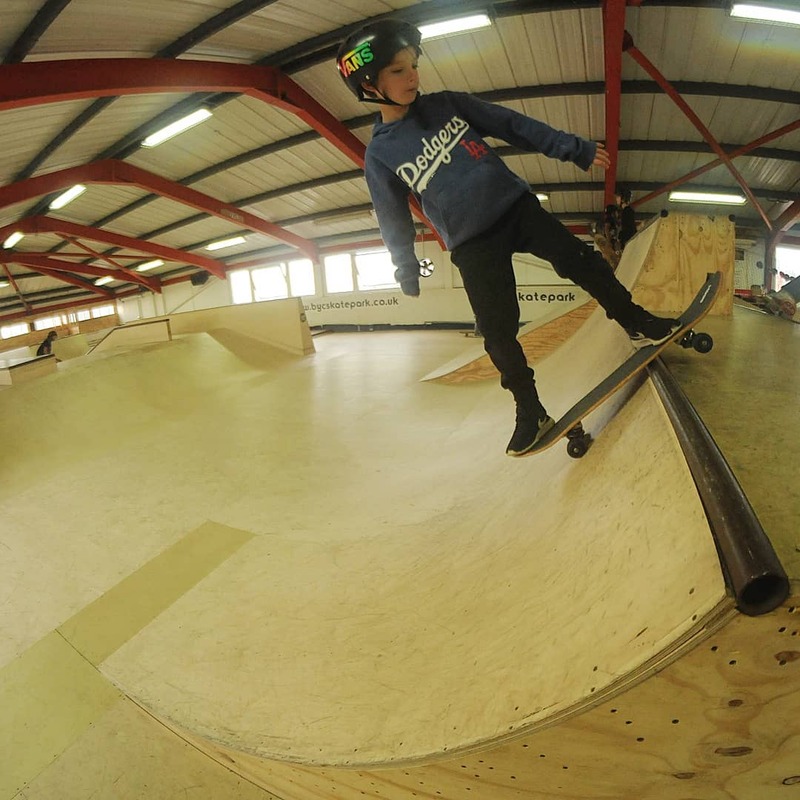 The improvers class is for young people that already have some experience on a board or have mastered the beginners, and are feeling more confident, starting to learn tricks etc. This usually takes a more individual structure. 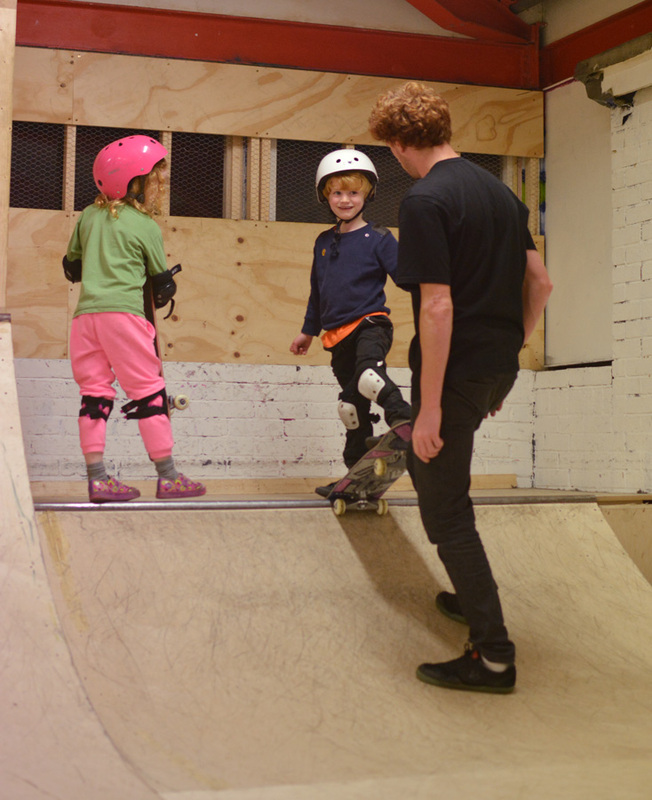 While the beginners course covers a more limited range, the improvers lets participants learn really anything they want, and ventures into the limitless world that skateboarding is. Anything! Skating quickly becomes a very individual activity with people wanting to focus on different tricks and ramps. Skaters coming up from the beginners course can practice what they learned and work at doing it independently, as well as moving on to things not covered before. Staff will give more focussed time to individuals and small groups throughout the session. Being in a more free environment skaters can get comfortable being in an open park and learning more about park etiquette. Improvers is more about confidence and determination that ability. There is no set level you need to be or test to pass to join, but skaters need to be happy to be able to practice certain things on their own as staff will not be with them the entire time.